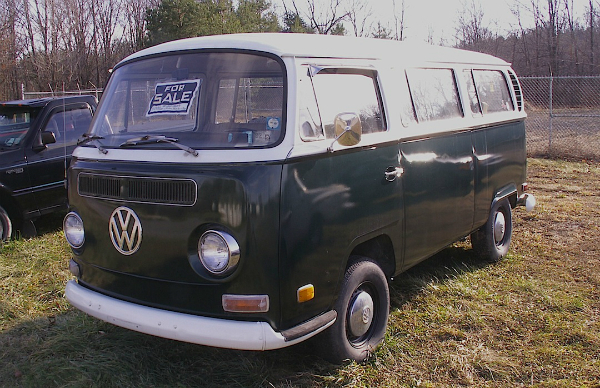 Making an uneducated guess here, that this is a 1971 or 1972 VW Bus — well, the bus part’s not in doubt, but they didn’t change much from year to year. However… the flat style hubcaps along with the low-mounted front turn signals were only used together these two model years. Doesn’t help when the window reg sticker is scraped off; it’s so old I don’t think the make and year would have been listed anyway. Saw this one outside of Batavia a couple of summers back. Jim Corbran, RRofWNY …and check out our Facebook page: Un-American Classic Cars The post RealRides Of WNY appeared first on Buffalo Cars.